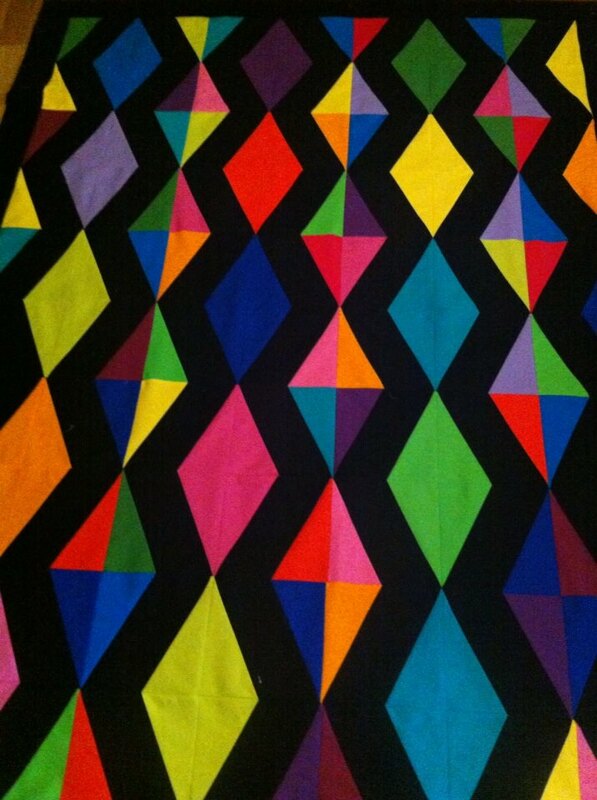 I just finished this very colorful quilt top and need to decide how to quilt and what color of thread to use, I am thinking maybe variegated and a simple meander. What do my quilting board experts think? You usually have very good ideas for us newbies. What a great pattern and so colorful. I used variegated thread and a largish meander on my Jewel Box in those colors. Loops would be nice, too, as the quilt is very angular. What color is the back? I di a jewel tone quilt for my son and the back was a black batik. The LAQer used black thread and it looked great! I have not decided on the backing yet, going shopping this week. I think this is an excellant opportunity to do the Leah Day method of filling in spaces. 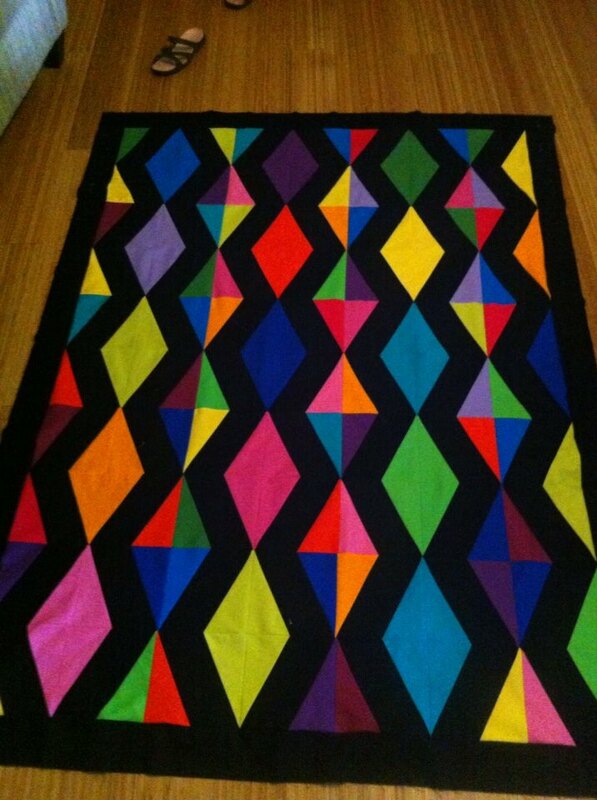 I would keep the black shapes all one type of quilting and all the other colored shapes a variety of textured FM. I would use the thread color that matched all of the different colors. I think a variegated meander would be pretty. To me a meander reads more like a "no" pattern quilting design and would let the fabric pattern shine. Is that the X block ruler? I just got mine and I want to try the un-be -weavible pattern. i would do allover spirals as a contrast to the strong lines of the pieced top. I have a couple of bright tops to finish. I will be interested to see what you decide.